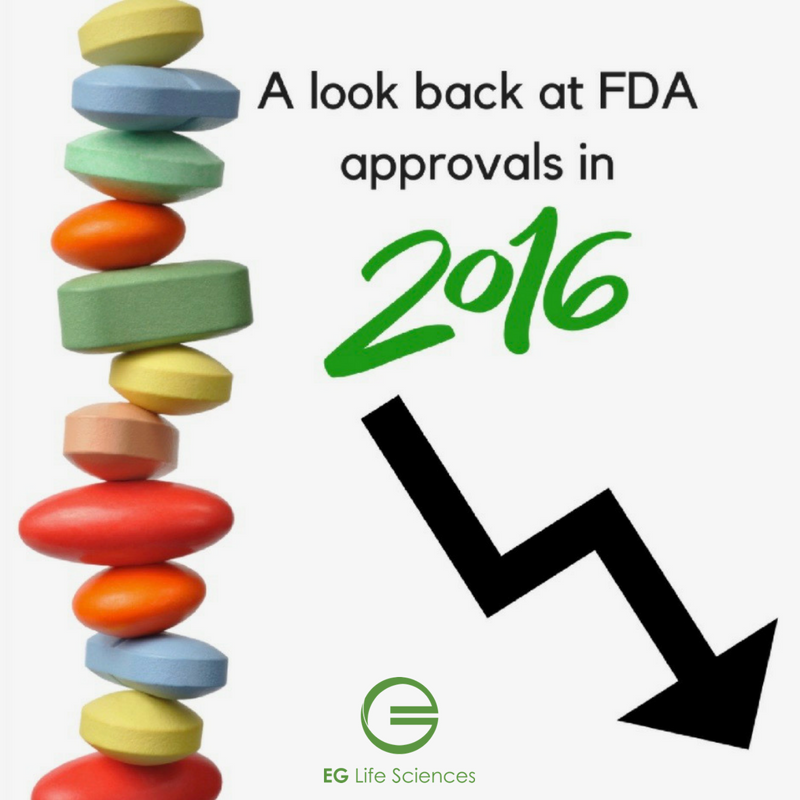 We all know 2016 was one for the ages and in the world of FDA Approvals the same can be said. As some of you readers may have seen in my previous blog post we discussed the validation life cycle and the expectations that validation is a living, breathing part of any successful life sciences manufacturer. The information I am going to share with you is a direct reflection of what can happen when manufacturing is not monitored and processes are, let’s say, less than robust. An interesting fact is that only 19 of the 36 new biologics license applications (BLAs) and new drug applications (NDAs) were approved by John Jenkins’ team in 2016. John Jenkins is the current Director of the Office of New Drugs for the FDA. Mr. Jenkins has made it a priority to expedite the approval process over the past 5 years or so. So what happened in 2016 to cause the lowest number of approvals since 2007? Let’s look at several cases where the FDA said no. First off, this year was the complete response letter (CRL) that Miami-based OPKO received because of issues the FDA had with the manufacturing plant in Florida where its drugs are being manufactured by Catalent. But in that case, the company won approval weeks later for its chronic kidney disease drug Rayaldee after Catalent worked with the FDA to quickly get the issues resolved. Second, there was the Valeant Pharmaceuticals issue. The company had its latanoprostene bunod ophthalmic solution turned away by the FDA because of deficiencies at a plant operated by Valeant’s Bausch + Lomb unit. Valeant has said the therapy for ocular hypertension could be a $1 billion seller. A third issue was with Ocular Therapeutix. The company received a manufacturing related CRL for Dextenza, a treatment for post-ophthalmic surgery pain. The fourth of 2016 was Portola with its drug AndexXa. AndexXa is a breakthrough anticoagulant reversal agent that was delayed in August. This delay also affects Bristol-Myers Squibb and Pfizer which market the anticoagulant Eliquis for which AndexXa would serve as a bleeding antidote. In addition to the delayed approval, Portola announced it was borrowing $50 million from BMS and Pfizer to help overcome the FDA's concerns. Rounding out this poor year, Sanofi and Regeneron had expected to win approval for sarilumab, but unfortunately had to tell investors they had received a CRL instead. In one trial, sarilumab had outperformed Humira. Humira is currently the best-selling drug in the world with about $14 billion in sales. The trend from the above examples is clear. Manufacturing related problems can have significant impact on business, beyond the common challenges that manufacturers face once a product is commercialized. These examples clearly show that the FDA is looking at the details within the manufacturing environment prior to product approval which is a shift in thought process from years past. There were other factors that came into play in 2016, as well. One of these factors is the expedited approval of 5 new applications in 2015 that would have otherwise been approved in 2016. What is most important to me is that the rejections, or CRLs, definitely spiked from previous years. The below chart will provide a quick visual of the sudden downturn. This indicates that the agency is taking the item of process robustness seriously. Manufacturing related problems are contributing to rejected applications and thus impacting the launch of new drug products to the market. So it doesn’t take long to put the pieces together and assume that the future of life science manufacturing is going to have to include a full life cycle approach and tighter reigns on manufacturing. As the industry changes and moves forward, process monitoring - a systematic and scientific approach to monitoring processes - and continuous improvement - what is improved upon based upon the data collected from process monitoring - are just a few items that will need to be incorporated into the culture. What are your thoughts on this downturn? Is your company working towards a full lifecycle approach to manufacturing? We’d love to hear from you and would be happy to answer any questions you may have. Send us a note to: info@eglifesciences.com or call us at: 888-925-6847.